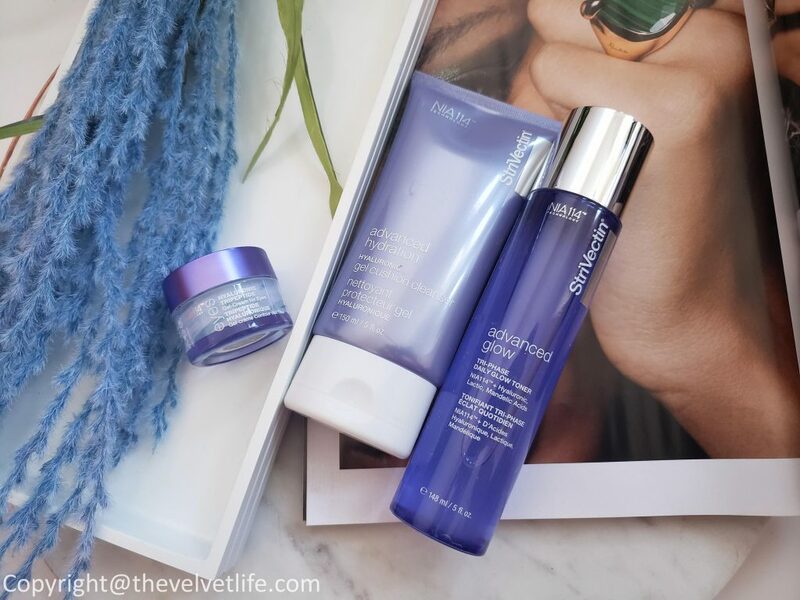 Hyaluronic Tripeptide Gel-Cream for Eyes, Tri-Phase Daily Glow Toner, and Hyaluronic Gel Cushion Cleanser. Hyaluronic Acid helps reduce the visibility of fine lines and wrinkles retaining moisture to the skin, creating a plumping effect. When the skin is protected and hydrated, increased skin cell production can take place, as the skin isn’t busy fighting for hydration. This leads to smoother, plumper skin cells. That means apart for providing all the above benefits, it is also good for healing burns, dry skin, and more. 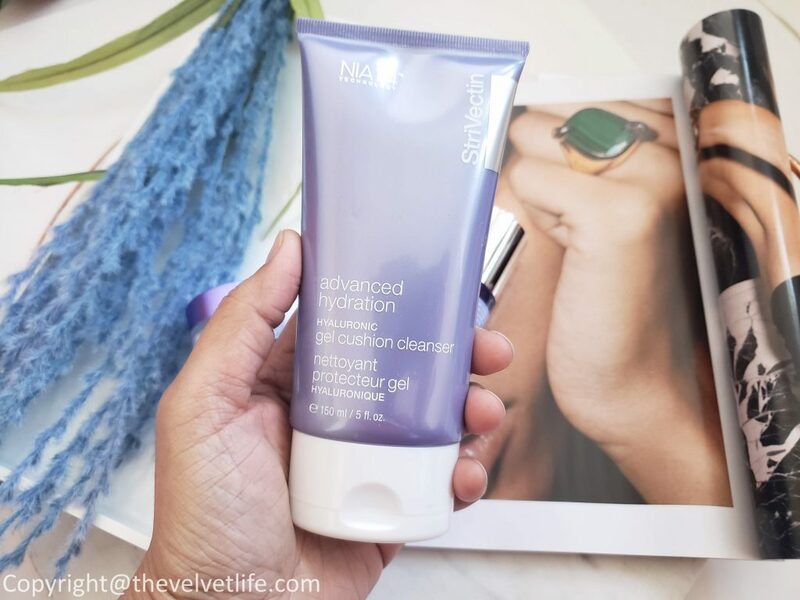 StriVectin Hyaluronic Gel Cushion Cleanser is a silky, lightweight cleansing gel that removes makeup and impurities while replenishing skin with essential hydration. This refreshing, cooling formula leaves skin super soft, supple and visibly plumped with a cushion of moisture. I prefer to use it as my second cleanse during the evening and first cleanse in the morning. It feels very luxurious on the skin. My skin feels very soft and smooth after using it. 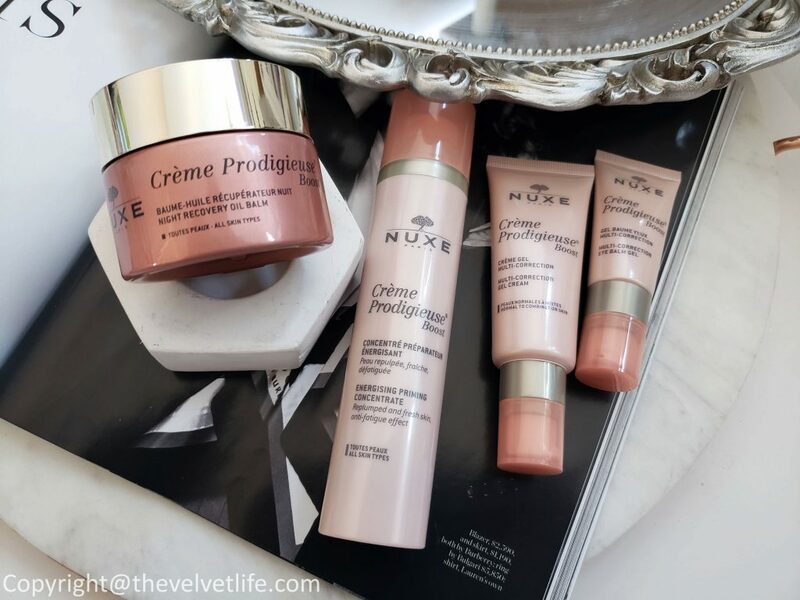 There is a subtle glow on the skin, skin feels nourished, comfortable and fresh, ready for the next step in the skincare routine. It is safe to be used even on the eye area. StriVectin Tri-Phase Daily Glow Toner is a blend of skin-loving acids and nourishing botanical extracts to smooth, hydrate and brighten for a radiant, lit-from-within glow. I have used it a few times and it did not irritate my skin, felt gentle on my skin, I make sure to shake the bottle before applying it. I use it on my clean dry skin, my skin looks brighter, smooth, and hydrated, it did not dry my skin. StriVectin Hyaluronic Tripeptide Gel-Cream for eyes is a new eye cream which helps with the fine lines and dark circles. 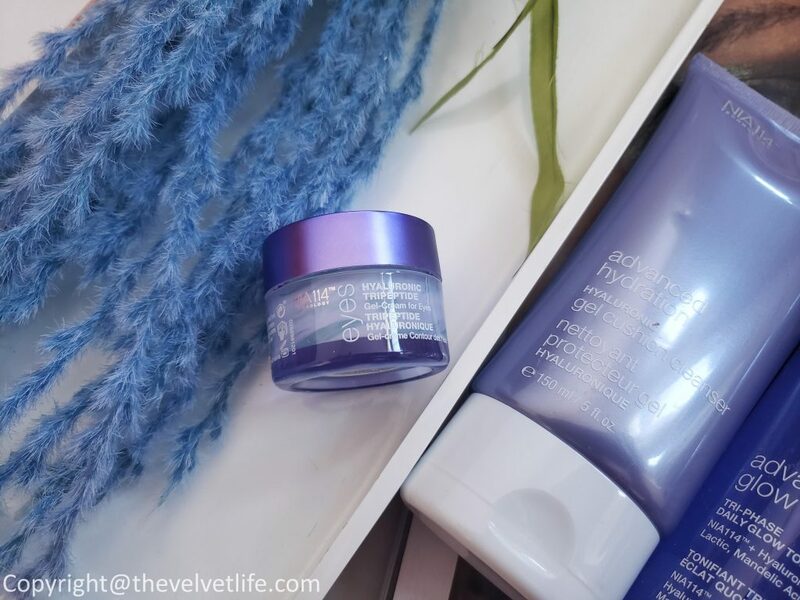 This swirled, dual-phase eye gel-cream intensely hydrates and corrects visible signs of ageing while neutralizing the visible effects of Blue Light. 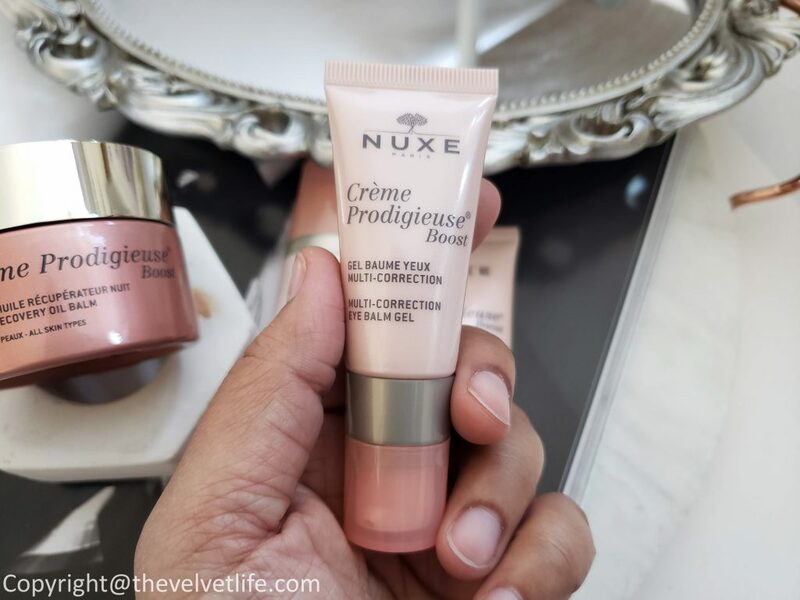 The texture of the cream is just so lush, the swirled fluffy light texture is very hydrating, gives a cooling effect, and after few days of regular use, I have noticed my eye area is brighter, supple, and fine lines which have started to peek are less visible. Once I apply the eye cream, it absorbs quickly and the after-feel of the eye area is so silky to touch, without any residue. This is definitely a keeper in my skincare routine. 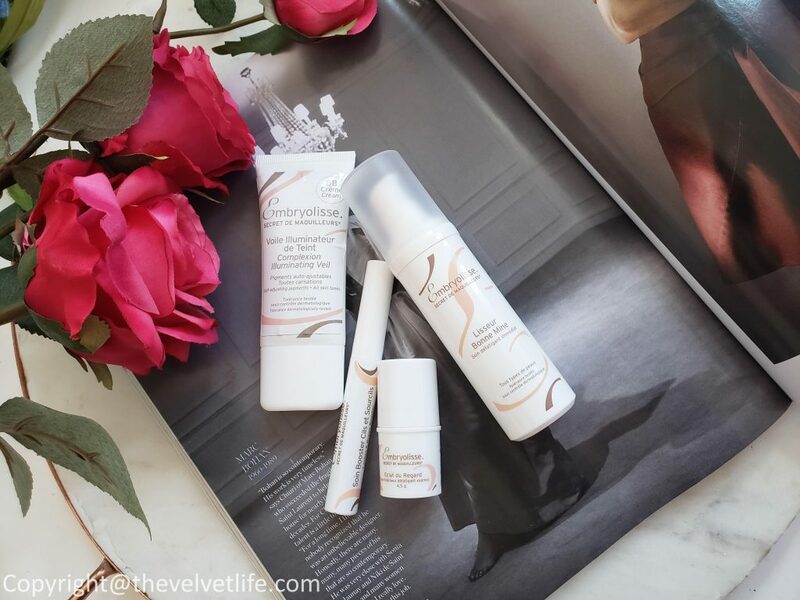 Embryolisse is a cult brand, loved and raved about by many since 1950 when it was created by a French dermatologist. 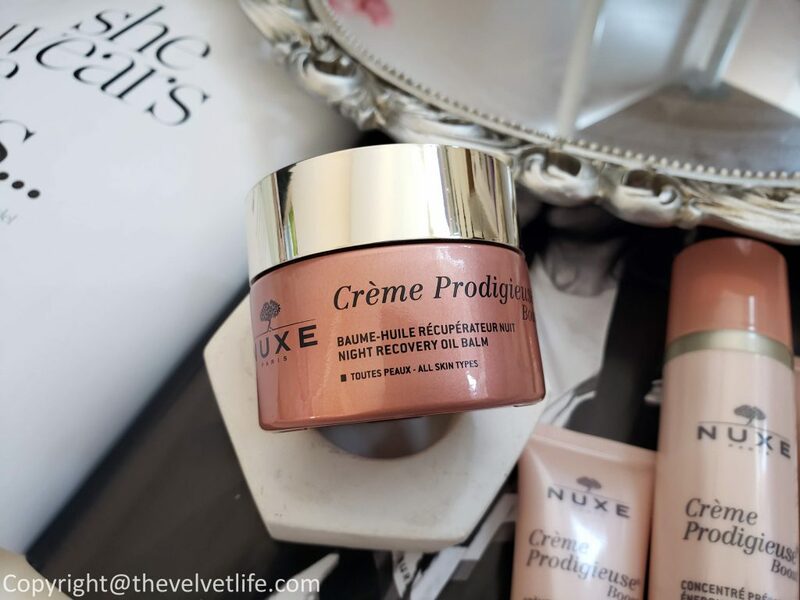 It was not just because it was gentle enough to be used by all skin types, but the products were effective, especially the first one – Lait-Creme Concentrate which can be found in every makeup artist’s bag and also loved by celebrities. 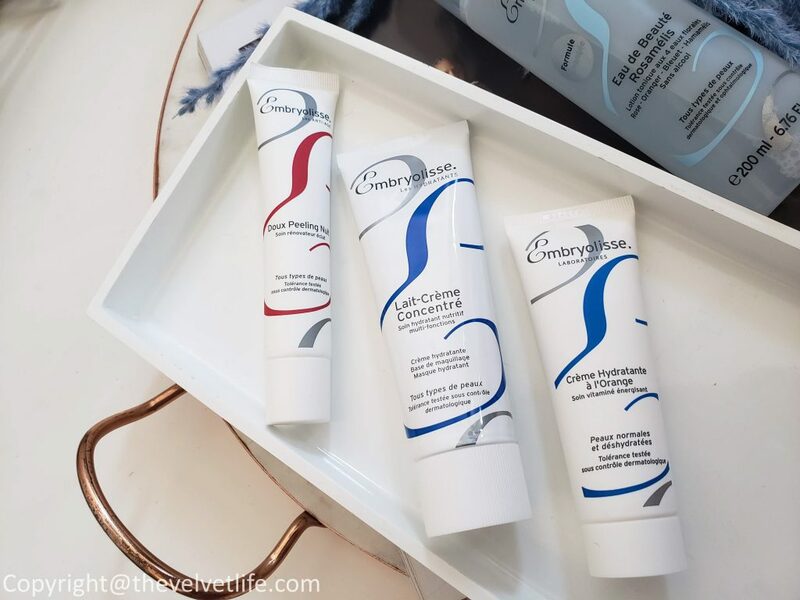 I have a friend who stocks up on Embryolisse products when she visits Europe but now that the brand is available in Canada, I am sure many of you will have one thing marked off your list of to-do things when you visit France. If you have not tried anything from the brand, you need to try – there is a reason why it is cult. I think for my combination skin, winter is the perfect month to try something that is hydrating and gentle which does not breaks me out. 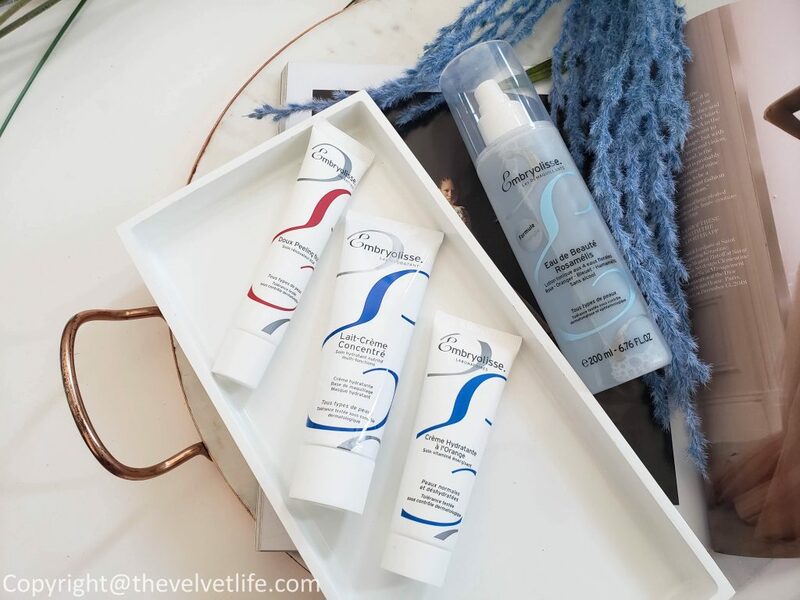 Embryolisse Lait-Crème Concentré is a versatile product for all skin types, it can be used day and/or night for hydration and protection, as a makeup primer, beauty mask, cleanser, and even as a makeup remover, after-sun and aftershave care. It has a light milky texture that quickly absorbs into the skin giving a satin finish. It does not feel greasy and makes the skin supple and moisturized. It was formerly called formerly Lait Creme Concentre Gold 24 Hour Miracle Cream. Embryolisse Moisturizing Cream with Orange is rich in natural extracts of orange, helps to balance and maintain moisture content in the layers of the skin. The light, non-greasy formulation with Orange Extract and Vitamin C makes it perfect for year-round use. It hydrates and tones the skin as it regulates sebaceous activity for a refreshed and radiant appearance. Rich in vitamin C, orange oil diminishes hyperpigmentation and helps with pore size to keep the skin plump and bright. 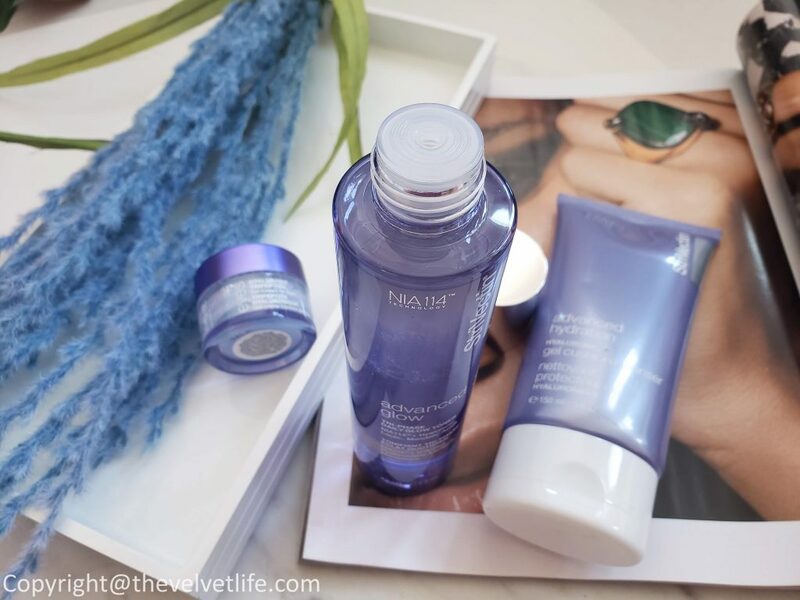 The skin is instantly re-hydrated, more toned and more radiant. Embryolisse Radiant Eye is a stick with ‘cool effect’ that refreshes the eye area, hydrates, reduces dark circles and puffiness and brightens the complexion. It is easy to apply and provides a relaxing sensation of freshness and well-being. Embryolisse Lashes and Brows Booster is a volume treatment that lengthens eyelashes and brows, thickens and densifies them. 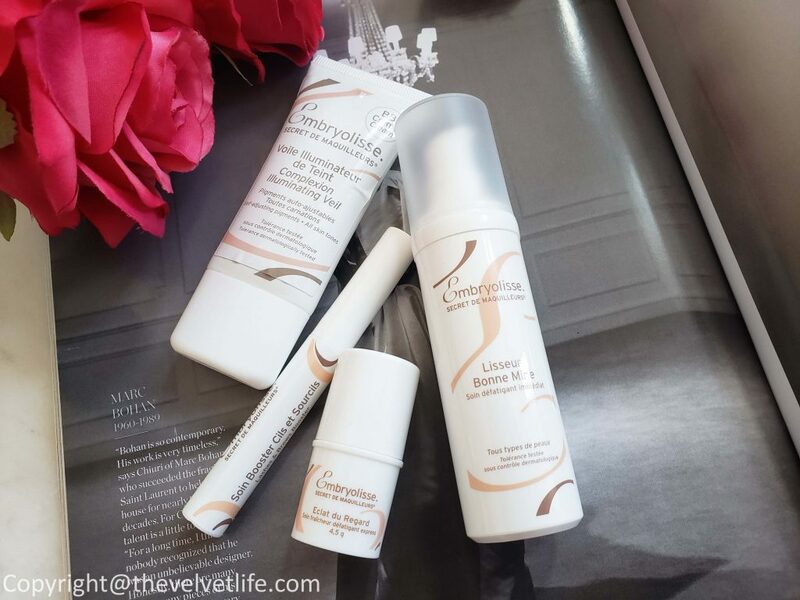 Embryolisse Complexion Illuminating Veil is a bb cream that is very light and has a smoothing effect on the skin that blurs the pores and problem areas. 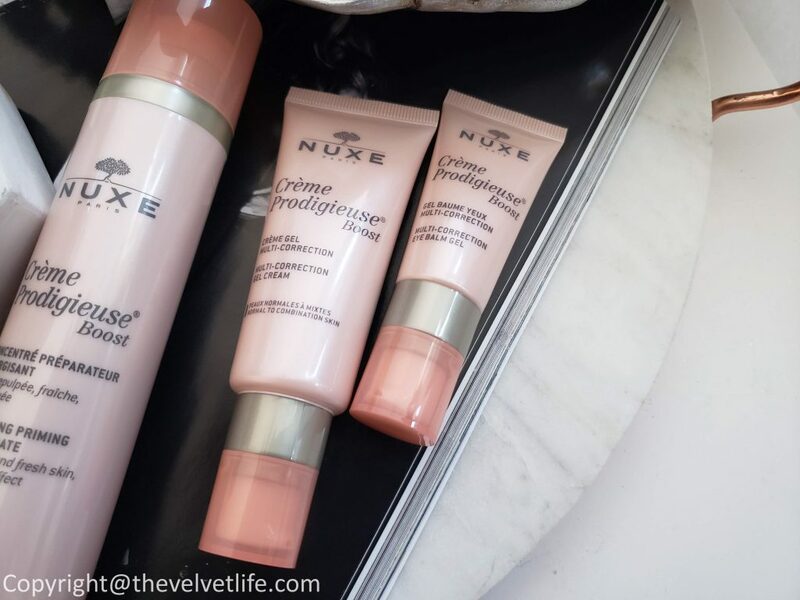 For a radiant complexion, and soft and velvety skin. The shade is universal and suitable to all complexions. Embryolisse Gentle Night Peeling is a very mild formula with a micro-dosage of aha fruit acids to not sensitize the skin and to allow for daily use suitable for all skin types, even sensitive. It gently exfoliates, hydrates and soothes which makes the skin soft and brighten.